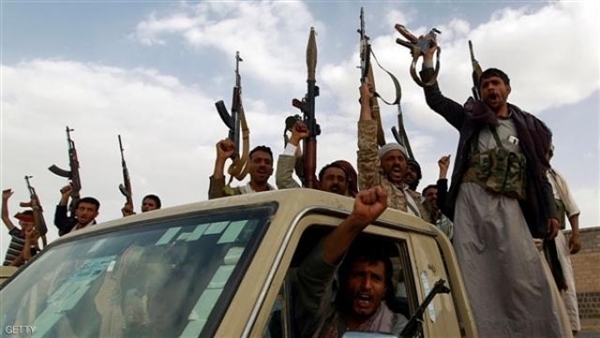 The Houthi militia, in the northern province of Al-Mahweet, abducted dozens of preachers, educators and former army officers to an unknown place for subjecting them to a radicalization program before arming them and deploying them to the warfronts against the government. Anonymous sources in the province said the militia terrorist theologians have abducted about 200 educators, preachers and officers by force and forced them to attend a brain-washing program that is set to last a whole month. Ever since the militia came into being in 2004, and more intensely in this current conflict they triggered in 2015, they have recruited thousands of fighters through sectarian radicalization courses. Schoolboys represent a substantial part of the militia's recruits given the easiness of recruiting them and the advantage of turning them into fearless killers.